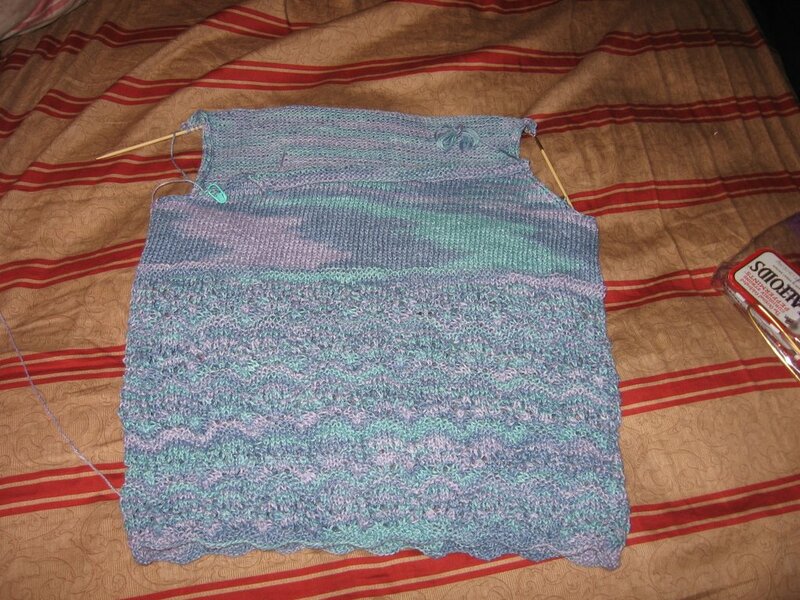 Here is the picture also appearing on my blog, the WIP, about 2 cm till short rows shot of my LBT. I even love the pooling. See how it's large splotches, then it turns into thin stripes at the top? Way cool. The only thing: Why did I pick pastels? Stay tuned for pictures of Confused Goth in Hippie Pastel Lace Top! I love it! I'm sure you can make it work. I am looking forward to the picture! I am sure you will look great! It's all in the accessories? The patterning does look really neat: At first glance I thought it was somehow irredescent!